A busy lifestyle, hectic work schedules and social dinners keep us all from forming those habits that we would want to lead our lives with. Our excuses come packaged in layers of deception as we try to deceive ourselves into believing that we just cannot take up that good habit. While earlier, motivation from friends and family was the only way to form good habits, today, we have apps that can help us form habits that can help us lead better lives. How different would life be with a small technological change in the way we do things in life? 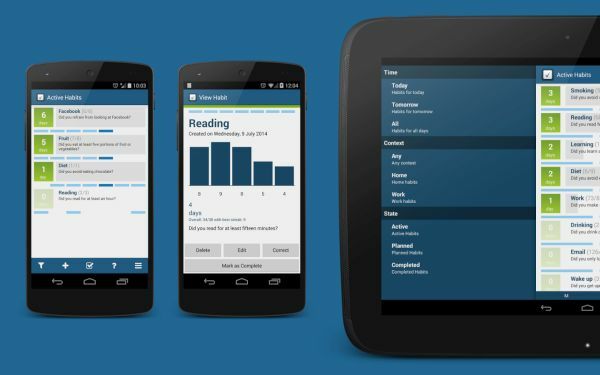 Let us look at some of the best Android apps available that can help us form better habits. 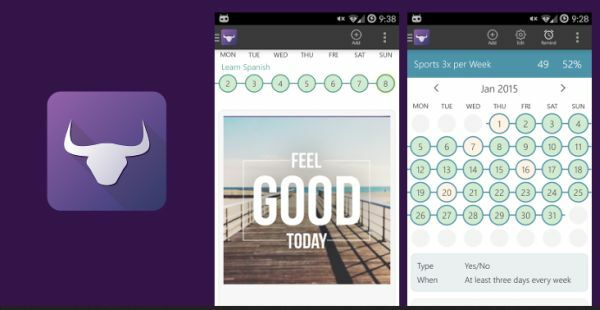 If you like intelligent apps, then habit bull is a great place to start. Do not get miffed with the simple interface of this app because it has a lot to offer than what meets the eye. Habit Bull helps you track your habits and then presents all your data in the form of an encouraging graph that helps you continue your habit for a long period of time. It has motivational phrases to keep you going and a calendar that counts the days for you. Just when you thought it couldn’t get any better, the app also has a forum where you can get help and advice from others trying to form better habits. Sometimes, all we need is a break from the usual to help us pull up our socks and move towards better habits. 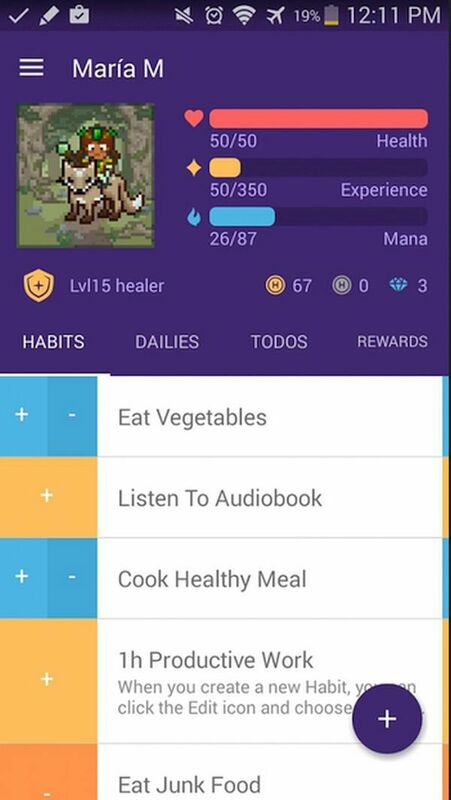 Habitica is an Android app that offers just this. It does not treat habits as a difficult task that you need to accomplish, instead it turns everything into a frivolous game where you can input your habits and your goals and then accomplish these goals to level up in the game. You can have friends and family members join in and form better habits along with you as you continue to reach new levels with the game and accomplish your goals towards forming better habits in real life. 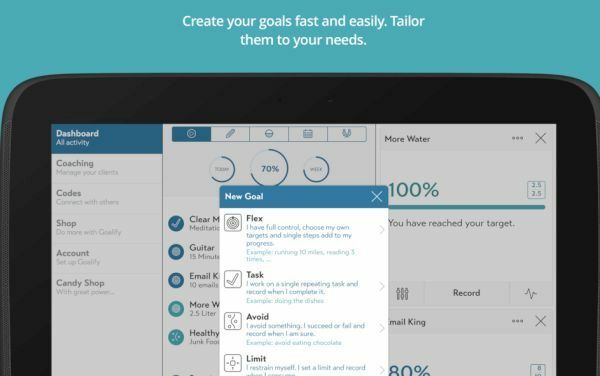 This is an app that almost every Android phone has, but the recent addition of the goals feature makes it even better, especially if you are trying to form better habits. 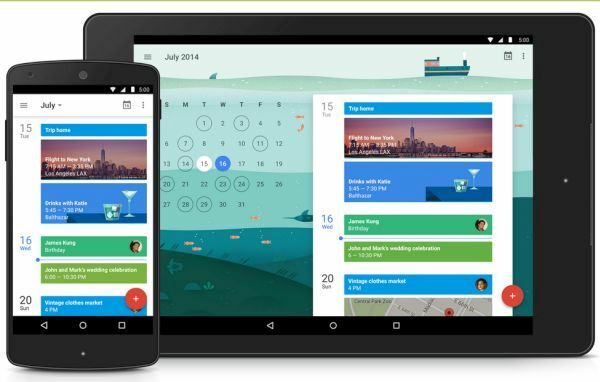 With a calendar that is already synced in with most of your apps, you simply need to input your goals in Google calendar and the app tries to look for time for you in your diary. It will schedule regular slots and help you keep a track of the habit that you are forming. Another cool Android app that aims at helping you form better habits without having to crush yourself over is Goalify. The app is a game of sorts that helps you form habits easily and ensure that you keep a track of them. You can get plenty of reports and statistics about your success rate with the habits that you are trying to form and it can encourage you in doing better. Your attempts of forming a good habit may have often been doused when you eventually gave in to your usual way of life. With habit streak, you can get help by staying motivated as you try to form better habits. You will be reporting every day whether you succeeded or not in forming the habit and this will help you form a chain that will go on till the time you continue to follow the habit. Try not to break the chain and very soon you will have formed the habit you have been hoping to do. Before you start forming a habit, let me tell you that it is easier said than done, but with apps like these, the tables have turned and things have started getting simpler. When you know that you have to report your habit or when you have to level up, then following those good habits becomes essential and that is how you succeed. Use these apps for getting the most out of your phone when it comes to forming a good habit.